This article appears designed to send a strong, clear message, and merits very careful reading, analysis, and reflection. It is accompanied by a photograph of DF-21C conventional ballistic missiles, which is one type of an potent variety of long-range strike weapons that China is developing and deploying. Thanks to Prof. Michael Chase, Naval War College, for directing me to the article. 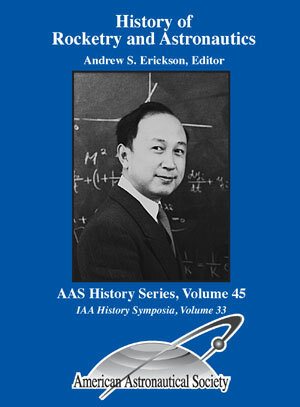 Together with a former colleague, Dr. Christopher Yeaw, Mike and I have published two articles of our own on Chinese missile force development. You can find links to them here and here, with further details at the very bottom of this post. Chen Long, “PLA Should Foster Offensive Defense Thinking in Developing Long-Range Strike Weapons,” China National Defense News, 13 January 2012. Offense and defense are two basic types of combat. Since the very beginning of war in human society, the contradiction between offense and defense has always been searching for the pivotal point of balance in the fight, and this position has ever been changing along with the development of weaponry and equipment. In World War I, there was a very low success rate in breaking through defense, because on the one hand, the defensive side generally owned geographical advantages, on the other hand, the offensive side lacked long-range attack capability. In World War II, however, with the emergence of new-type weaponry and equipment such as aircraft and tanks, the offensive side gained more means of attack and more powerful attack capability, bringing about the greatly upgraded status of offensive operation. Nowadays, with informationized wave sweeping over every corner of the society including the military domain, such tactics as destruction at the instant of discovery and combat outside of defensive zone are more and more materialized in reality, the counterattack capability of the defensive side has become greatly restricted, while the offensive capability has become the main factor in determining the outcome of a war. In such large-scale local wars as the Gulf War, Kosovo War, the wars in Afghanistan and Iraq and the like, they all ended up with the offensive side winning the war and the defensive side being defeated. In the warfare under informationized conditions, such special features as multi-dimensional offense direction, “non-contact” ways of attack in combat operation, the cross-horizon attacks of offensive power, the “long range, high efficiency, fastness and accuracy” of strike weapons and so on, have neutralized the effects of ground obstacles against the offensive side. It is no longer possible for the defensive side to benefit from topography by commanding the high position to massively devastate and consume the living force of the enemy. At the same time, it has also invalidated the traditional defensive tactics of anticipating the direction of the enemy’s dynamic attack and concentrating the manpower and weapons in order to precisely strike in a static status. In addition, informationized warfare consumes large amounts of resources, and has rendered the past defensive approach of finding a turnaround in an enduring war no longer realistic. The rapid decisive offensive operation has become the first choice. Therefore, in the future warfare under informationalized conditions, more emphasis should be placed on offensive operations. Even in the defensive operations, a proactive defensive strategy should be sought for. Nevertheless, this does not mean that defense is no longer important in informationized warfare. On the contrary, higher requirements are demanded from defense, especially in the sense that it establishes a main controlling status of offensive operations. 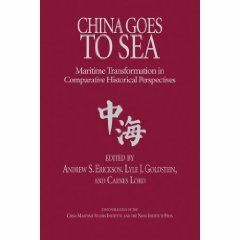 For the Chinese People’s Liberation Army (PLA), in order to win local wars under the informationized conditions in future, it is imperative to establish the strategic idea of offensive defense operation, and vigorously develop long-range strike weapons so that the effectiveness of combined offense-defense operations can be maximized. Andrew S. Erickson, “DF-21D ASBM Deployed, but China Daily Probably Incorrect in Claiming ‘2,700km Range’; Gen. Chen Bingde Never Said That,” China Analysis from Open Sources, 11 January 2011. 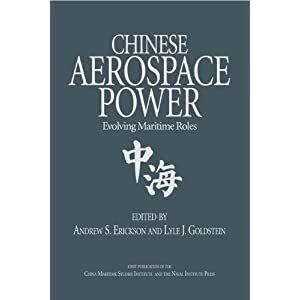 Detailed analysis by top subject matter experts on Chinese ballistic and cruise missiles, with five dedicated chapters on Chinese ASBM development and strategic implications alone, is offered in Andrew S. Erickson and Lyle J. Goldstein, eds., Chinese Aerospace Power: Evolving Maritime Roles (Annapolis, MD: Naval Institute Press, 2011). 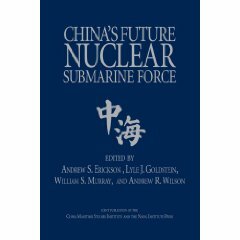 For a brief overview of Chinese conventional and nuclear force development, see Michael Chase, Andrew S. Erickson, and Christopher Yeaw, “The Future of Chinese Deterrence Strategy,” Jamestown China Brief, Vol. 9, No. 5 (4 March 2009), pp. 6-9. 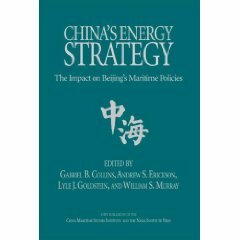 For more detailed, comprehensive analysis of Chinese conventional and nuclear force development, see Michael Chase, Andrew S. Erickson, and Christopher Yeaw, “Chinese Theater and Strategic Missile Force Modernization and its Implications for the United States,” Journal of Strategic Studies, 32.1 (February 2009): 67-114.